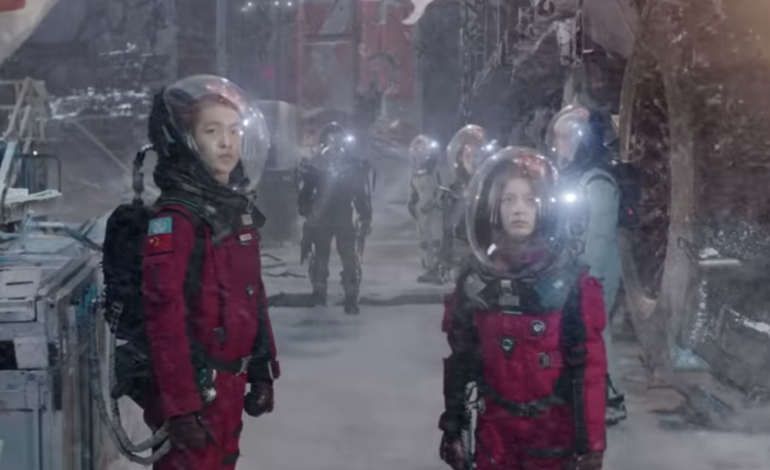 China’s First Major Sci-Fi Movie ‘The Wandering Earth’ To Be Released in U.S.
With China recently making space history landing a probe on the far side of the moon, much excitement is building up surrounding the release of China’s first significant science fiction film, ‘The Wandering Earth,’ according to an exclusive report by The Hollywood Reporter. The film is based on a short story by the author, Liu Cixin, who won an award in 2015 for a previous novel he wrote. The storyline of the film is set in the future when China attempts to lead people from Earth to safety because they are doomed to destruction by the impending explosion of the sun. Rapid changes in the climate and evacuations of panicked people are seen in the trailer’s fast cuts. The people leading the rescue plan are in astronaut suits and are desperately trying to make the Earth Engine work to help them get out of the solar system. The film is directed by Frant Gwo and star, Wu Jing. While the film is set to be released February 5 in China, CMC Pictures is planning to release the film in the U.S. on February 8.